The Pacific Northwest has always attracted people and industries with vision and pioneering spirits. The world-class biomedical companies and institutions that thrive here benefit from the quality of life as well as the robust scientific and educational resources that have gravitated to the area. 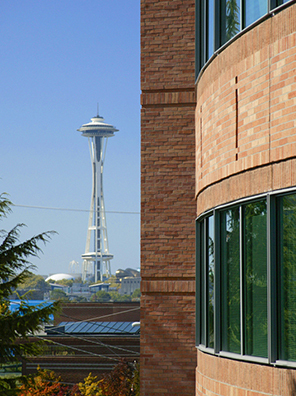 For students considering studying here, the UW-Fred Hutch partnership forms the core of a broader network of connections across other institutions and companies that could only exist here in Seattle.